As Italian as you can get, this was a dish my mom made all the time!!! 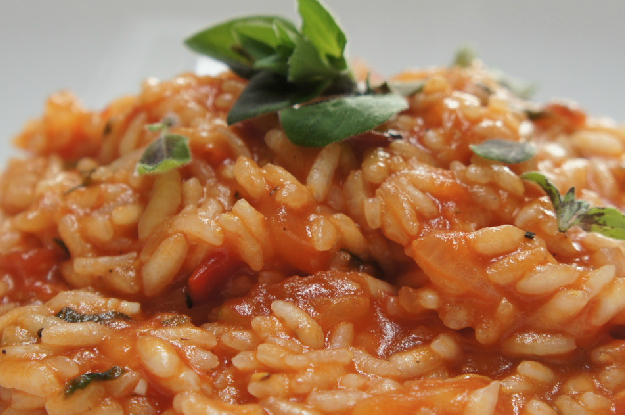 I wish I could say you could use “any” rice to make this, but Arborio is the rice you should use for this dish. Thankfully you can now find this type of rice anywhere nowadays. In a saucepan over medium heat, melt 1 tbsp of butter. Add the onions and cook until soft, about 5 minutes. Stirring constantly, add 1/2 cup of chicken broth. As rice absorbs the liquid, continue to add broth, 1/4 cup at a time. Reduce heat to low and cook rice for an additional 20 to 30 minutes until tender, stirring occasionally. If rice starts to dry out, stir in more broth. When rice is done, remove pan from heat and let stand for a few minutes. Stir in remaining butter and cheese.